The Sunoco gift card is very versatile, use it for everything from filling up at the pump, to getting your car repaired or just picking up a cup of coffee. What a great way to start the summer! Anyone would love this as a gift, or keep for yourself to fill your car or fill you! 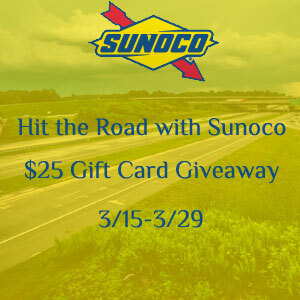 Check out the selection of gas gift cards here and find the nearest Sunoco location here. I’m going to the beach with my sisters! This would be great! !